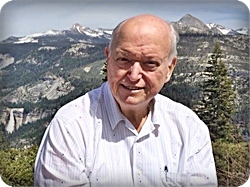 James W. Ainsworth, aged 77, of Grand Rapids, passed away on Sunday, March 31, 2019. Jim was in the construction business and was known for his integrity and fairness to all. He loved his family and had a strong belief in God. He was preceded in death by his brothers, Carl and David Ainsworth. Jim will be lovingly remembered by his wife of 56 years, Joyce; daughters, Kelly Ainsworth, Vicki (Robert) Replogle, Jill (Ted) Brindle; granddaughter, Kim Tran; brother, Fred (Linda) Ainsworth; sister-in-law, Charlene Ainsworth; nephew, Dan Ainsworth; aunts, Lil Kass, Marge Teeter, Mary (Frank) Steed; special friends, Jan Weingate, Bob and Nancy Karopzyk; many nieces, nephews, and cousins. A memorial service will be held at 11 am Friday, April 5, at Stroo Funeral Home, 1095 68th Street, SE; with Rev. Edward Visser officiating. There will be an hour of visitation prior to the service. Contributions in memory of Jim may be made to Mel Trotter Ministries, 225 Commerce Ave. S, Grand Rapids, MI 49503. So many found memories of Mr. Ainsworth. His El Camino, eight track tapes that he would listen to in the garage as he was working, his great sense of humor. I always looked forward to his return from work because he made me laugh and feel special.